We humans, have been gifted with plentiful choices of fruits, vegetables, and other food ingredients to keep ourselves healthy. Mother nature provides us with an abundance of minerals and nutrients. For example, if you do not wish to have a bowl of granola and oats for one morning, a banana can always be a substitution. However, for vegetarians and vegans, finding the food that has right balance of protein, carbs and fats could be a little tricky. We all know protein is a vital nutrient for our body as it helps to grow muscles and repair tissues. 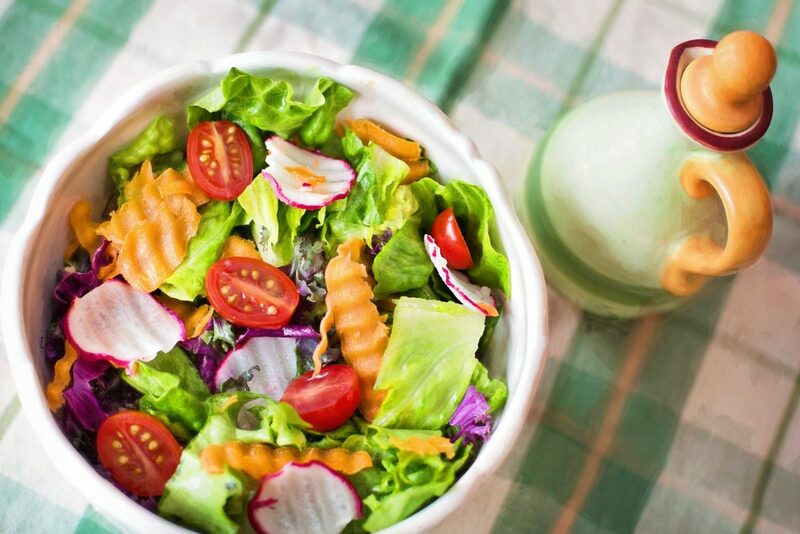 While non-vegetarian diets ranging from salmons to chicken breasts are packed with high values of protein and dietary fibres, vegetarians have to be smart and aware about the natural foods that are rich in them. Beetroot and athletic performance improvement go hand-hand. Nitrates, available in beetroot enhance the function of mitochondria which provide energy to the body. Nitrates are also responsible for keeping our blood-pressure in check as it converts into nitric oxide inside the body, dilating the blood vessels. Beetroot also contains fibre that keep the stomach filled for longer and moderate amounts of protein and calcium that improve our system. You can always add beetroot slices to salads, make beetroot dips and have it garnished over soup. Eggplants are an excellent source of protein and fibre. While being low in calories, eggplants can keep you feeling satiated for longer. Consuming eggplants help keeping the heart healthy and secure. Eggplants are rich in nutrients, especially anti-oxidants which protect the body from free-radicals. Eggplants can slow down sugar-absorption of the body, keeping your blood-sugar rates in control. Eggplant and cauliflower curries, stir-fries and pasta are some of the favourites. Beans and legumes are rich in fibre and protein. These are perfect substitutes to meat-based protein as it helps to keep you filled and healthy. Beans such as soybeans are rich in antioxidants which protect the system from diseases. Black beans help with keeping a balanced blood-sugar rate and preventing the risk of diabetes. Certain beans contain monosaturated and polyunsaturated fats which are very essential for our health. Burritos, beans curries, and beans patties are some good choices. Edamame is mostly used in Japanese household and cuisines. It is an immature form of soybean which is commonly consumed with a pinch of salt. By reducing cholesterol rate in the body, similar to that of soybeans, edamame keeps the heart healthy. It is high in protein. Best ways to eat edamame is as miso, tofu or a light snack. Mushroom is a good source of protein. Being devoid of fat, it is a staple for a vegetarian diet. This plant-based ingredient can be easily incorporated into our daily meals. Although protein content might be lesser, being a fat-free and a healthier option, mushrooms can be added to salads, stir-fried into a grilled tofu dish or even formed into patties for home-made burgers. Quinoa is rich in all 9 amino-acids which help to form protein content in the body which cannot be produced naturally. Being low in glycemic index, quinoa can keep your blood-sugar rates from spiking up. Quinoa is rich in fibre which help us feel satiated for longer, thereby skipping on any junk-food cravings. Quinoa also helps in improving metabolic health. Broccoli and quinoa salad, veggies and quinoa soups are healthy alternatives. Cauliflower is rich in anti-inflammatory and anti-oxidant properties. These help in keeping your system healthy and protected. Cauliflower, when steamed, detoxifies the body and reduces the risk of spiked blood pressure. Potato and cauliflower soup, curries and grills are tasty options. jackfruit is moderate in protein but a healthy option in case of light meals. These proteins are good for building muscles and devoid of cholesterol. Jackfruit is high in fiber and helps feeling full for longer post-consumption. Jackfruit seeds, if dried and powdered, can be a natural cure to indigestion. Baked jackfruit, raw and sliced are some good ways to eat it. When it comes to providing proper amounts of calcium and protein in the body, tofu is the star of the dish. Tofu contains all 9 amino acids which help to produce protein in our bodies. Tofu is abundant in nutritive values such as manganese and phosphorous. This should be bought fresh from the store on the day of cooking. Stir-fried or grilled tofus are mouthwatering suggestions. Tempeh also provides all the 9 amino acids required by the body. This little ingredient is rich in protein and probiotics, helping in the digestion process. This helps in receiving the proper amounts of calcium in the body and keeps the muscles strong and healthy. Grilled teriyaki tempeh, sandwiches, and salads are some of the best options. Make sure to ask your dietician to know about the proper food chart that will provide these sources of protein constantly.